Command the field with the power and potential of our flagship gaming PC chassis. Meet the inimitable OMEN X Desktop PC 900-260XE, a gamer’s dream and the true heavyweight class from HP’s versatile OMEN line of performance Custom Gaming Desktops. 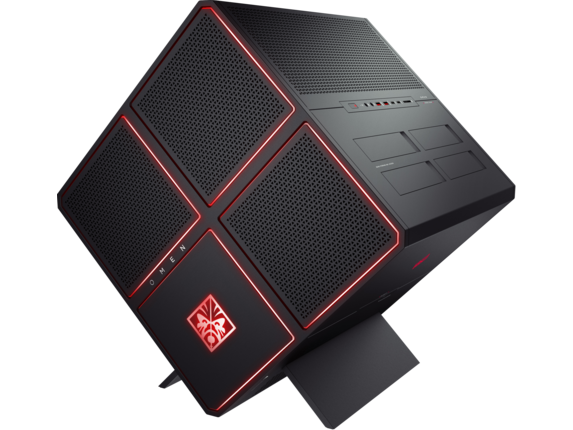 A true gaming desktop i7, the 900-260XE is powered by a quad Intel® Core™ i7-7740X and offers optional dual NVIDIA® GeForce® GTX 1080 Ti or dual AMD Radeon R9 Fury X to keep you galloping through space with the deepest immersion possible. With those specs and your choice between a 750W or 1300W power supply, you’re ready for 4K and beyond. Need a lighter or more compact option that can still keep up wherever you need it? 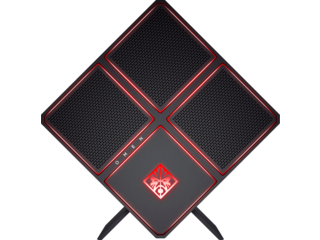 Consider our OMEN 880 Desktop, which comes packed with a variety of options uniquely tailored to your media preferences and style of play. 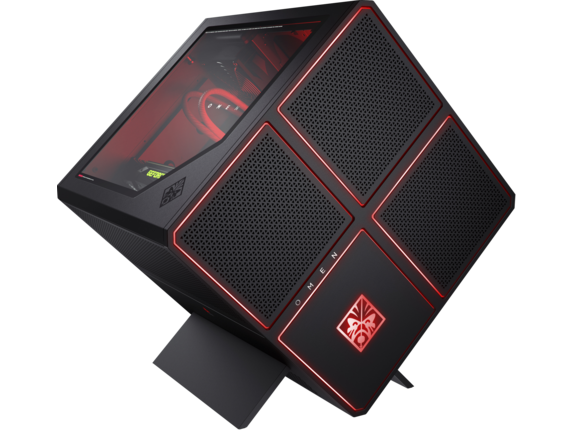 No matter your needs, HP has the perfect PC gamer desktop for you. Worried about making your own upgrades at home? The 900-260XE is meant for you. 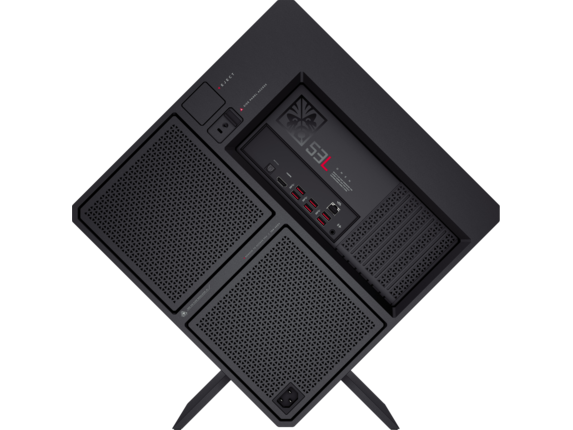 Designed with convenience in mind, our customizable gaming PC chassis is oriented at a 45-degree angle for incredible ease of access. No more hassle on your hands and knees or shifting furniture and objects to find the right point of access. Add storage to your build without accessing the interior by using four tool-less access points along the right side. The main interior bay is on the opposite side, with the bulkiest cables discreetly tucked behind your motherboard. Behind the OMEN logo, you’ll even find a handy toolkit and set of 15 replacement screws so you’re ready for anything right out of the box. Want to take your gaming experience right up to the edge? Overclock your PC without breaking a sweat thanks to our innovative cooling setup that divides the 900-260XE gaming PC chassis’ critical and temperature sensitive components into their own sections. That means your GPU, hard drives, and power supply are stored separately, with their own ventilation and the PC’s top-mounted vents to keep everything cool. If you want the best of the best, go above and beyond with an optional liquid cooling system. Ready for the future? No worries, because we’ve got you covered. With unparalleled upgradability and configurations that support virtual reality, you’ll be ready for whatever today and tomorrow brings. You’ll build, fight, and play with confidence when you choose the unrivaled performance of an OMEN gaming PC chassis.